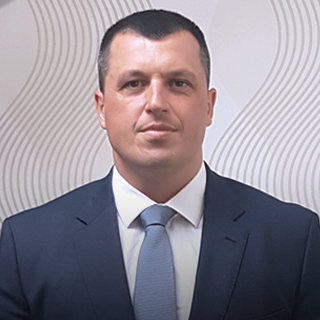 RADE VUJOVIĆ is General Manager (GM) of Roaming Solutions group of companies and Roaming Networks, company member of Roaming Solution group of companies covering telco sector. He is GM of Roaming Solutions and Roaming Networks as of February 2014. Under his leadership, Roaming Networks is on a fast track to become the market leader, building up proficiency and strong market presence in the Balkans in four strategic lines of Telco business: radio and microwave access networks, passive optical networks and transport and access systems and IT infrastructure and Data Centers. During this time, Roaming Networks has also stabilized its profitability growth. Before joining Roaming Group of companies, from 2012 until the beginning of 2014, he was Chief Executive Officer of Apex Solution Technology. Together with his team he successfully implemented the integrated information system for traffic management and fare collection in public transportation system of Belgrade and brought it to the EU standard level. Previously, as the Chief Technical Officer (CTO) of Targo Telekom he led planning and construction of first FTTH network in Serbia. Before returning to various Telco business projects in Serbia, Mr. Vujović spent five years in Oman, where he led the development of packet core network and services layer in Nawras mobile and fixed network, member of Ooredoo group of companies, Oman’s leading customer friendly communications provider. Mr. Vujović graduated from the Electrical Faculty of Electrical Engineering – University of Belgrade. After finalizing the graduate studies he successfully enrolled and completed postgraduate magisterial studies at the same University, and holds the Master of Science degree. DRAGAN TRAVICA is Chief Operating Officer. He joined the Roaming Networks team in 2014, and initially served the firm in the important and responsible position of Chief Technical Officer. Dragan and his team continuously put their knowledge of the company and its processes, potentials, resources, and challenges to use in attaining the firm’s objectives. During more than 13 years in Telecommunication Industry, he has gained significant technical and organizational experience. He worked the Chief Technician Officer in Apex Technology Solutions, in the period of the implementation of the integrated information system for traffic management, bringing it to the EU standard level. Previously, he occupied the position of Telecom Services Planning and Maintenance Manager at Targo Telekom, as well as Packet Core and IP Network Planning Manager in VIP Mobile, Serbia. Up to that time, till 2009, he was holding the mobile experts positions within Nawras, Omani Qatari Telecommunications Company S.A.O.C. Dragan Travica holds the degree of M.Sc.E.E. from the Faculty of Electrical Engineering, University of Belgrade and presently attends postgraduate studies at the same faculty (Telecommunication and Computer Networks department). 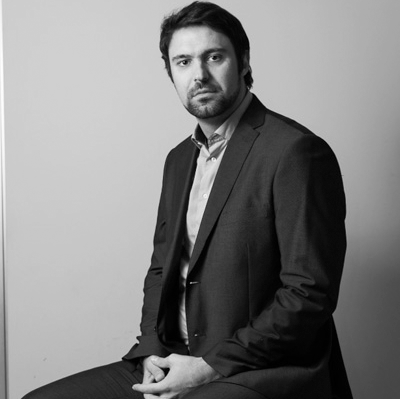 TOMISLAV NEŠOVANOVIĆ has been Commercial Director of Roaming Solutions since May 2017. He previously served as Executive Director of Roaming Networks from April 2014. He has gained valuable and comprehensive experiences leading companies through business and structural transformations during the past twelve years in multinational companies such as IBM, Kuwait National Petroleum Company, Abu Dhabi Marine Operations and Haya Water in various countries, such as the United States, Oman, United Arab Emirates, Kuwait and KSA. During his career he has held the positions of Infrastructural Asset Manager, Project Manager for IBM and ORACLE ERP and Business Intelligence corporate solutions Systems. He was Principal Consultant for maintenance, procurement and inventory and Business Analyst in Water/wastewater, Oil & Gas and Telco sector. He is an Asset Management Expert and one of the pioneers in the development of PAS55 and ISO55001. As a member of the Institute of Asset Management he has been one of the key speakers in various government congresses in Asia on this topic. Mr Nešovanović holds a B.Sc. degree in Mechanical Engineering from the University of Belgrade. 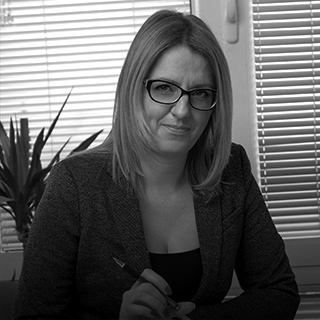 DANIJELA DUČIĆ is Business Development Director,having joined the firm’s management in January 2016. 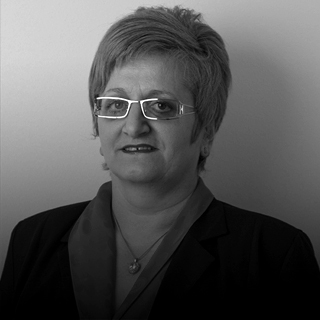 Danijela is an engineer with a wealth of experience and proven skills in management and building client relationships. She started with Roaming Networks as Business Development Manager in the Enterprise Sections, where she spent a year establishing contacts with new customers, organising new projects, and developing collaborations with new partners and vendors, before moving on to lead the Business Development Sections. Within 10 years filled with rich experience in the telecommunications industry, she developed her career in P.S.Telefonija a.d. first as a Sales Engineer and then as an Account manager, whereas for the past 3 years she occupied the position of the Head of section for commercial and technical preparation in the ICT department. Mrs. Dučić graduated from the Faculty of Traffic, University of Belgrade, department of postal and telecommunications traffic. Having built her career in the telco industry, she has been nurturing good relationships with Company Clients. LJUBOMIR KMEKIĆ, is General Manager (GM) of Roaming Networks, Bosnia and Herzegovina. For the past 4 years he had held the position of Business Development Manager in Banja Luka, where the subsidiary is located. Having in mind his wide range of knowledge related to the market, clients and technical skills, he has gained the opportunity to further develop thecompany’s portfolio in BH. 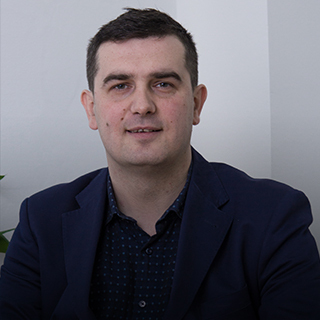 Before joining Roaming Networks, Ljubomir was developing his professional carrier as a mechanical engineer on the position of Executive director in project-orientated company Inter project, over the period of 10 years. Previously, he worked as President of Board of Directors at AD Zvornik Engineering. and at the very begging of his professional career as a teaching assistant at the Faculty of Mechanical Engineering, University of Belgrade. Mr. Kmekić graduated from the Faculty of Mechanical Engineering, University of Belgrade. After finalizing his graduate studies, he successfully enrolled and completed postgraduate magisterial studies at the same University and holds the Master of Science degree. 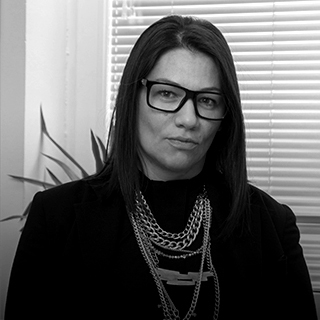 VESNA VASILJEVIĆ is Head of Finance Section of Roaming Networks since April 2015. Her main responsibilities are organizing and coordinating activities of the finance department and managing financial assets of the company. Her twenty-year-long career in leading finance positions started in Belgrade-based Ratko Mitrović Niskogradnja d.o.o, where she spent nine years as the Finance Director. After that, Vesna was an expert associate for the Belgrade Land Development Public Agency and then the Finance Director in FPM Belgrade doo. Before joining Roaming Networks in April 2015, Vesna was the Finance Director of Albus ad Novi Sad. Vesna’s abundant professional portfolio is enriched by the variety of knowledge regarding main activities of the companies she worked in, which is a prerequisite for high quality finance management in any business environment. She has thus been ensuring stability of business operations of all the companies she has been part of, contributing to the recognition of the significance that needs to be attributed to the finance aspect of any company’s business operations. Vesna graduated from the Faculty of Economics at Veljko Vlahović University in Titograd (University of Montenegro, Podgorica). She is also a certified accountant and auditor. NIKOLA PETROVIĆ is Chief Executive Officer since December 2017. He started his career in 2011 in Roaming Networks and quickly proved himself as a reliable and trustworthy team member with the right attitude, constant initiative and great energy. 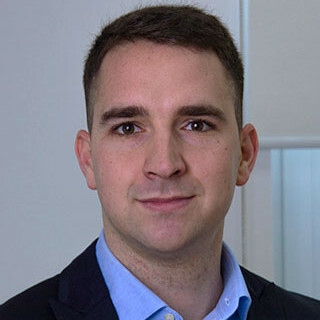 Nikola’s efforts and involvement make him one of the people who have set the foundations of company’s strategic development in new markets and projects, having enabled successful start of our business operations in Austria. After three years spent in Roaming Networks and the successful and intensive work engagement in Austria, Nikola continued his professional development in Telenor in the field of planning and optimization of access networks. He possesses great organizational and people management skills, which adds great value to the high-level position he now occupies as the CEO, making sure that even the most demanding projects can be carried out with ease. He is also actively engaged in improving the telecommunications field in Serbia and the region. Nikola holds the degree of M.Sc.E.E. from the Faculty of Electrical Engineering, University of Belgrade. Milos Jerosimić is Chief Operating Officer in Germany since 2017. In 2008, he started his career at Roaming Networks in Belgrade and over the years he changed positions in the company - he worked as an engineer, then as a project manager. In 2014, he became the Head of the Planning, Building and Maintaining Access Networks Service (for a year and a half), and before becoming the Director of Operations in Germany, Miloš proved himself to be an outstanding Business Development Manager in the same sector. He worked on demanding projects in Serbia and the region with major clients such as Telekom, m:tel, Huawei and Ericsson. Miloš is highly competent in the field of radio and microwave access networks, as well as able to solve complex problems quickly while taking into account the stability and security of the whole system. He is a team player, very experienced in the international field. Miloš graduated from the Faculty of Electrical Engineering in Belgrade, Department of Telecommunications. 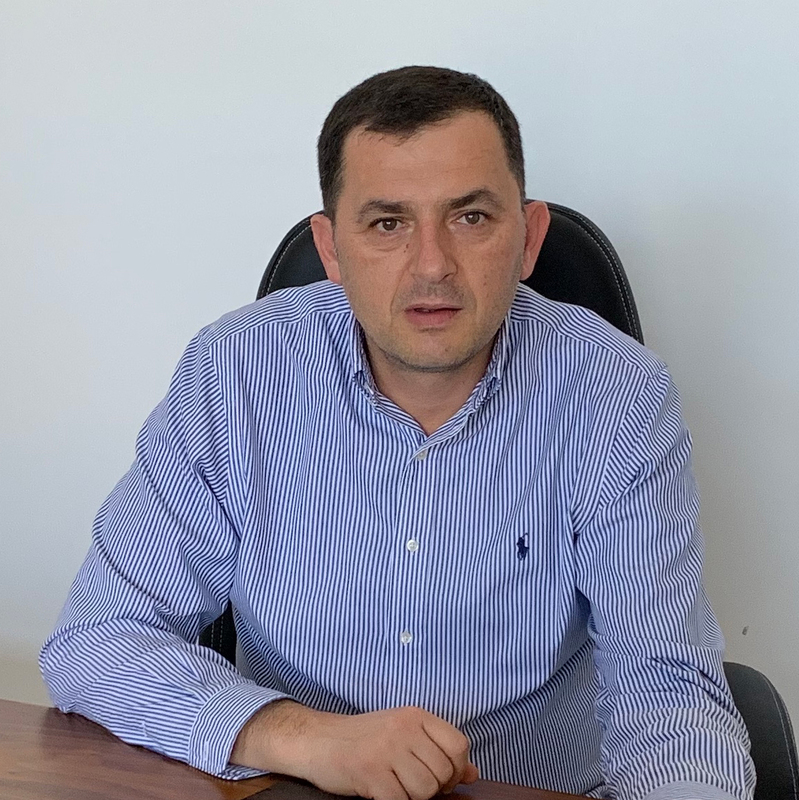 OLIVER OBRADOVIĆ has been the Roaming Networks General Manager in Montenegro since November 2018. The business entity that he runs and in which he oversees ongoing business operations in the field of information and communication technologies is a member of the Roaming Solutions Group. Oliver began his career at the “Meneco” Centre for Ecology and Human Health, then he worked as the IT Director for the Central Bank of Montenegro. 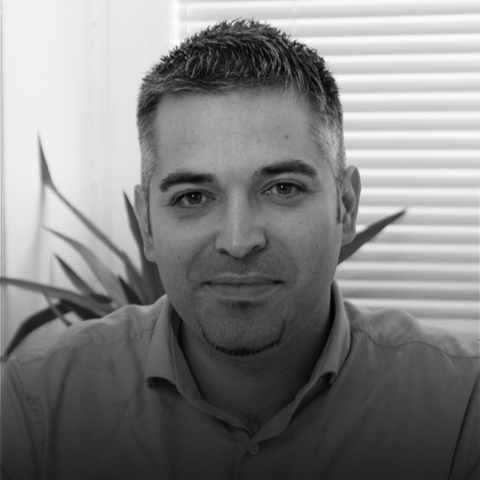 He was also the Technical Director of "e-mon", the first company for eBusiness support in Montenegro. 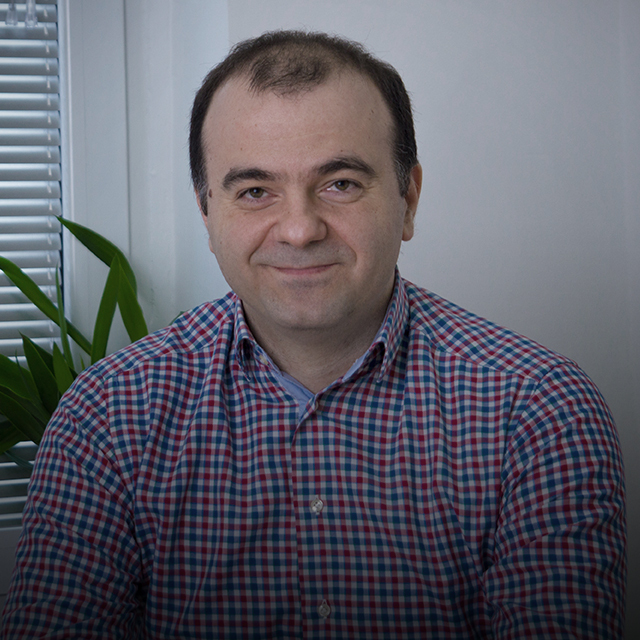 From 2006 to 2017, he was the Microsoft Montenegro Country Manager. He graduated from the Faculty of Electrical Engineering in Podgorica. MARKO GARIĆ is a Chief Technical Officer of Roaming Networks since August 2017. Prior to holding that position, he headed the Passive Optical Networks Planning, Construction, and Maintenance Service for three years. Marko’s knowledge of developing and maintaining backbone and metro optical networks has to date made a major contribution to the Roaming Networks team. 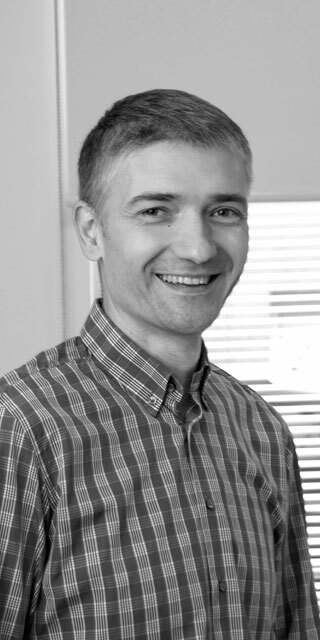 Before joining Roaming Networks Marko was Head of Passive Optical Network Planning and Construction at Targo Telekom for four years, and had previously spent a similar period of time designing optical networks as Design Engineer at Belgrade-based Telefonija. Marko Garic graduated from Belgrade University’s College of Information and Communication Technology with a major in Telecommunications. ANA VELANAC has been hired as a lawyer within the Legal Affairs Department of the Roaming Solutions Group, since February 2014. On daily bases she is responsible for keeping track of all legal activities of the companies. Before joining Roaming Solutions, she gained rich legal experience working as an independent lawyer for more than seven years. She also worked as the Head of Legal and Personal Department in Jugotrade and Gas Invest. Throughout her career she has been involved in and responsible for a variety of legal activities, representing clients in front of courts and other state authorities, with focus on labor, civil and criminal law. Ms Velanac graduated from the Faculty of Law (International Department), University of Belgrade. She has passed the Bar Exam and is also a member of the Lawyers’ Chamber of Belgrade, Serbia. IVANA ALEKSANDROV is Director od Human Resources Department of the Roaming Solutions Group, since February 2017. With regard to human resources, she is responsible for strategic development and the organizational part of the activities related to all employees in the associated companies. Over the past 16 years, while working in the field of human resources, she acquired abundant HR experience in strategic planning, organizational management, selection, engagement and staff development. 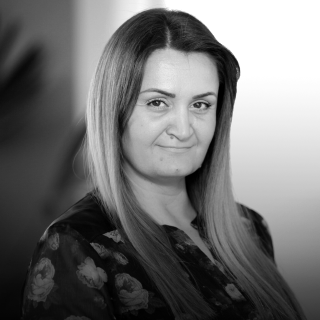 Prior to joining the Roaming Solutions team, she spent 11 years working in the German company Dekra Zaposljavanje, where she began her career as an HR Generalist, then occupied the Head of the HR Unit position and was also the HR General Manager. Her first HR experience in selection and recruitment, Ivana attained in marketing agencies Max Media International and GMS International. She graduated from the Faculty of Economics and is a certified Senior Human Resources Professional at Cambridge Institute. PREDRAG TRAJKOVSKI is Chief Operating Officer (COO) in Austria, leading the biggest regional project within Roaming Networks. Previously, he occupied the position of Chief Technician Officer in Belgrade, Serbia starting from the establishment of the Roaming Networks in 2008. Having this in mind and relying on his reach technical know-how, high level of organizational and interpersonal skills and proven problem solving attitude, he has been entrusted with leading and controlling all ongoing and new projects of Roaming Networks in Austria. 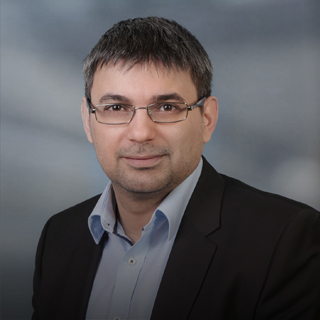 Before joining Roaming Networks, Predrag started his professional carrier as a telecommunication engineer on variety of Projects, including Nokia Siemens Networks, where he worked as Site Design Project Engineer on Telenor 3G RAN Project. 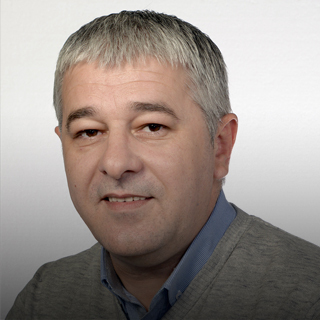 MILJAN PETKOVIĆ is the Roaming Networks Group Finance Director. Prior to holding that position, he was the Roaming Solutions Financial Control Manager. He joined the company in March 2014. On daily bases he is responsible for the financial management of the Company. Prior to joining Roaming Solutions group, he held the position of Financial Controller and later the position of Head of Finance and Accounting Department at Delta DMD group. Having been occupying different finance and controlling positions and working in variety of industries, he has brought fresh perspective and knowledge to Roaming Solutions. 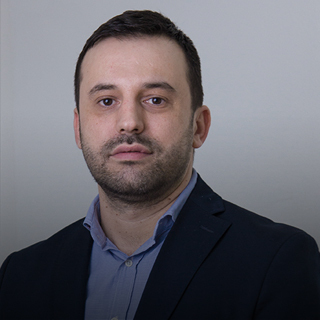 Mr. Petković holds the bachelor degree in finance and financial management at the Faculty of Economics, University of Belgrade. 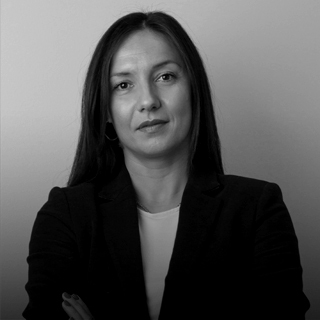 TATJANA RADUNOVIĆ is Head of Marketing and Corporate Communications of the Roaming Solutions Group, from the beginning of 2015. The main task of this sector is to promote the presentation of the Group’s services and to strengthen the brand of companies within the Roaming Group operating in various segments of communication and information technologies. Prior to joining the Roaming Solutions team, she had been working for domestic and foreign media outlets for 15 years as journalist, presenter and editor in RTV Pink and TV BK news desks, Burda magazine, Smedia portal and national Radio S. She graduated from the Faculty of Philology. Tanja pursued further professional development by attending a wide range of trainings and seminars in web journalism, radio hosting, marketing and PR. She handled marketing and PR activities in various agencies in Serbia and abroad, such as Studio A3 network, New Media Team and Fresh M.